Have you ever seen something on Instagram and wondered where you could buy it? Well it could soon be a whole lot easier to get your hands on the things you want. 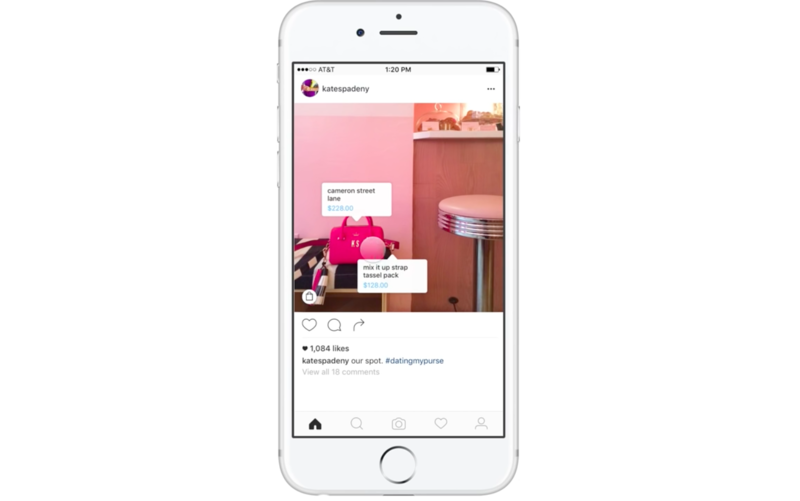 Instagram is testing shoppable tags on photos, initially rolling the feature out to iOS users in the US. Twenty retail brands, such as Michael Kors and Abercombie&Fitch, are on board to bring users a new dimension to the photo sharing app. Photos will feature hidden tags that you can tap to view, which will tell you more about products in the photos. After choosing a product, you can see details within the app to find out more info and prices, before clicking a button to buy if you wish. It is being reported that Instagram has no plans to take a cut from retailers at this stage, however they will monetise the feature later on by allowed retailers to show their shoppable products to Instagrammers who don’t already follow them. The full list of launch retailers is as follows: Abercombie&Fitch, BaubleBar, Coach, Hollister, JackThreads, J.Crew, Kate Spade, Levi’s Brand, Lulus, Macy’s, Michael Kors, MVMT Watches, Tory Burch, Warby Parker, and Shopbop.